Three Rivers Ranch presents this amazing two-day overnight fly-fishing experience through the South Fork of the Snake River, one of America’s premier dry fly rivers. 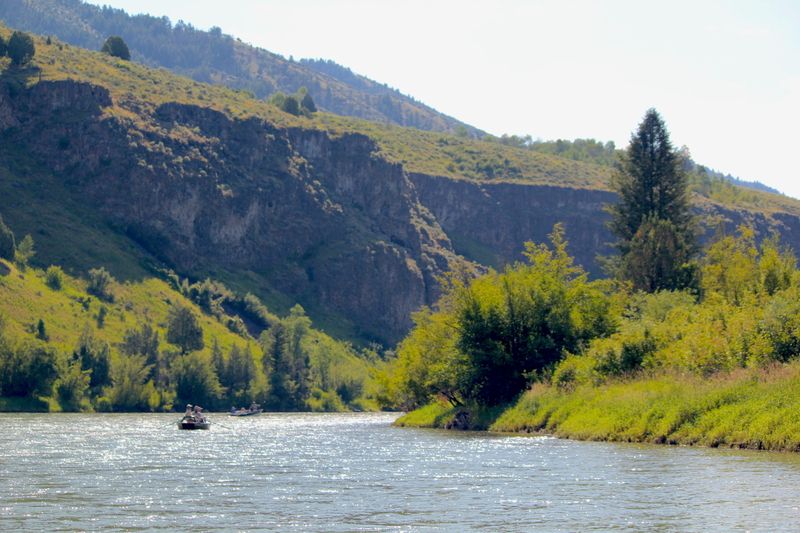 Our exclusive overnight camp is a full days float into the canyons of the Snake River. 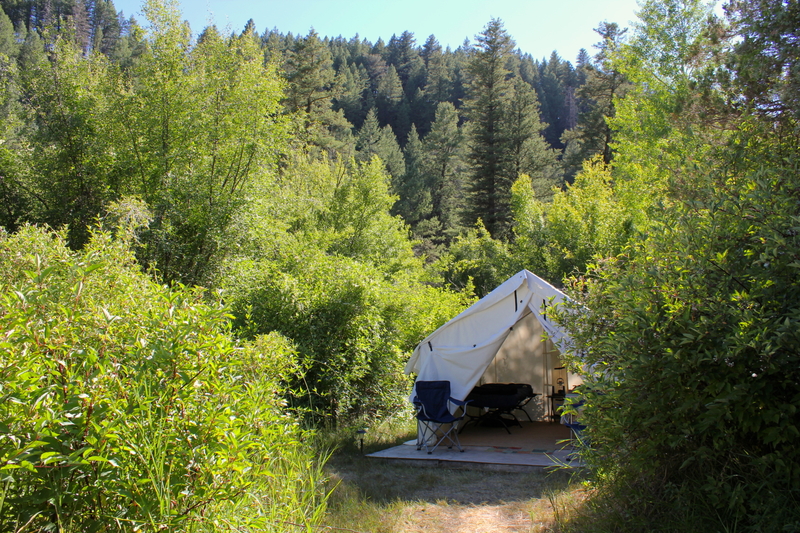 Our camp is located in a deep canyon surrounded by towering cottonwood trees and fragrant pines. It is inaccessible by roads and there is an abundance of wildlife inhabitants, bald eagles, deer, elk, moose, and falcons, to name a few. The sounds of nature will provide you with an experience not often found in the lower 48. Your first day of fishing will lead you from the Spring Creek Boat Ramp or the Conant Boat Ramp (SF Snake Map). You will fish through some amazing scenic and productive waters of Swan Valley. The native Yellowstone Cutthroat, Brown, and Rainbow trout are all part of the 5000+ fish per mile population of the Snake River. Check our SF Snake River Fishing Report. 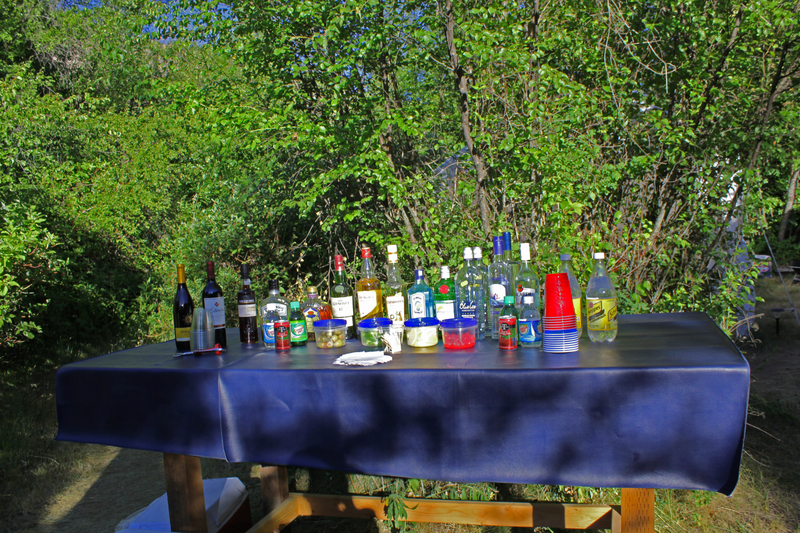 Upon arriving, you will find hor d’oeuvres and only premium wine and beer with a fully stocked, top-shelf bar. A warm fire will fuel the conversation of the day & our staff will show you to your private canvas wall tent with wood floors that are carpeted. We have extra large oversized cots with a 4″ mattress pad, full size pillows, and lined with clean linen. You have a wash station in your tent with warm water to wash your face. For those that might enjoy a hot pressurized shower, we have that as well! Dinner starts with a huge USDA prime ribeye steak cooked on a custom grill fueled only by natural hardwood charcoal. Add to that toasted baguette, grilled fresh corn, Justin’s famous homemade baked beans, glazed barbecued potatoes and for desert, dutch oven peach cobbler. If you have special dietary requirements, we will be more than happy to accommodate them for you. After dinner enjoy the fire, cocktails, decaf coffee or port all under a canopy of stars. You will awaken to fresh fair-trade coffee made in our large percolator and hot sizzling ultra thick cut bacon & sausage. You will get your day started with Idaho potato pancakes, biscuits, scrambled eggs, freshly cut seasonal fruit, and juices. After breakfast, your commute will consist of 10 steps to the river! 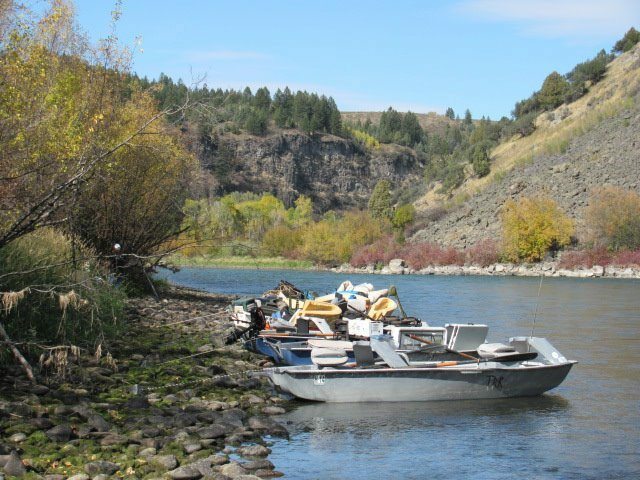 The last day of your float you wind through the canyons of the Snake River, you will be able to fish rocky cliffs, grassy banks, small creek-like channels, gravel bars, and countless other “fishy” looking places! Dry flies are usually the ticket, however, streamers and dry – droppers are sometimes used. Miles of the Snake River Canyon.